India’s best payment gateway, PayUmoney, has always thrived hard to help online businesses scale up by providing advanced services to all our businesses. We introduced a series of successful merchant stories to inspire you called “PayUmoney’s Inspiring Merchant Stories”. For which we recieved immense appreciation and acceptance as well. Thus, to keep this inspiration going strong for you, we bring to you yet another merchant story about Patel tours & travels, Gujarat. Like all businesses they too faced a lot of ups and downs. Their strong belief and eagerness to consistently introduce new and innovative ways to travel the country kept them going. Here’s a closer look at the inspiring business journey of Patel Tours and Travels. He was extremely passionate about traveling, exploring new places, people and cultures in his hay days. To not let his passion just pass wither away, Meghjibhai Khetani, started his career initially as a driver. In 1986 he started his own travel business with a view to bring in joy and innovation to the whole travel experience. It all began with one or two buses traveling various destinations in Gujarat and then the country. Like all businesses waiting on the runway to fly high usually face ups and downs, Meghjibhai’s business too went through its own course. From heavy maintenance cost loss to gathering trust worthy staff and overcoming language barriers across India, Patel tours and travels had a breakthrough journey so far. But Meghjibhai was keen on providing the best travel experience to all his customers. Hence, he invested a high amount in Sweden’s popular brand Volvo and introduced it in India. After the success of Volvo, he introduced yet another luxury bus brand Scania. In 2006 Patel tours and travels became ‘Patels Tours and travels Pvt. Ltd’. This change in the business proposition ensured that the business’ presence was felt all over India and not just in Gujarat. Encouraging cashless transactions and e-ticketing in India, Patel tours and travels collaborated with a payment gateway to smoothen the customer payment process. But Meghjibhai recalls a cumbersome and not-so-nice experience with one of the payment gateways he chose earlier. While on a search for a trustworthy and reliable payment gateway, he came across PayUmoney payment gateway. He quickly browsed through the payment gateway’s site and realized that PayUmoney is exaclty what he was looking for! Thereon, collecting online payments from customers has been a very successful and satisfying experience. 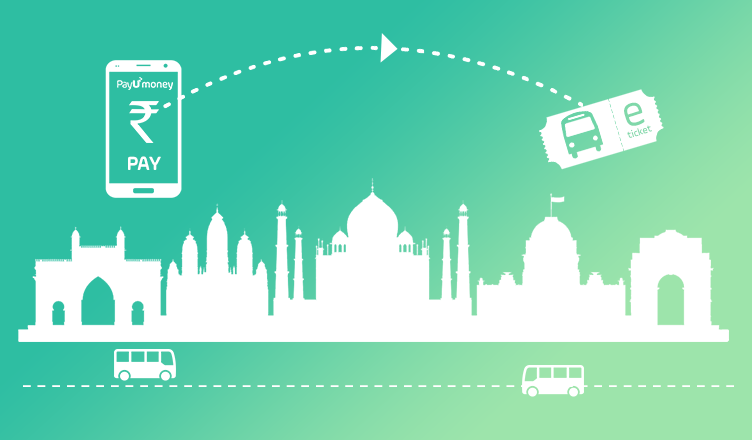 Starting from 2 buses to present a fleet of 240+ buses, they plan to add and experiment various online features which makes it easy to operate across the length and breath of India. To make this dream come true, Patel tours & travels joined hands with market giants like RedBus and the likes to serve the customers better. Owning an online business may or may not be a big deal today, but enabling customers to pay easily and safely is always the highest protocol for any business. What are you waiting for? Become one with PayUmoney payment gateway and grow your business beyond possibilities! Share your story with us and inspire a million. SignUp with PayUmoney now.